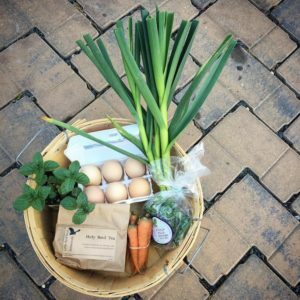 Visit Three Part Harmony Farm’s website. Learn more about poverty and hunger at WhyHunger.org. Photo courtesy of Lise Metzger, photographer and author of Grounded Women. Gail Taylor is owner and manager of Three Part Harmony Farm at the Oblate Residence in Washington, DC. She was recently featured in a 3-part series appearing on the Grounded Women blog. 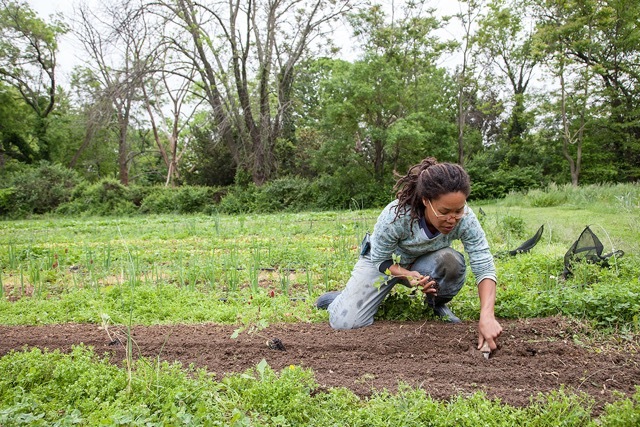 Grounded Women shares the inspiring stories of powerful and committed women farmers in the Washington, DC metro area. Read the stories here. Drive down 4th Street N.E. in Washington, D.C., a fairly active street near Catholic University, and it might be easy not to notice the thriving farm behind a chain-link fence. 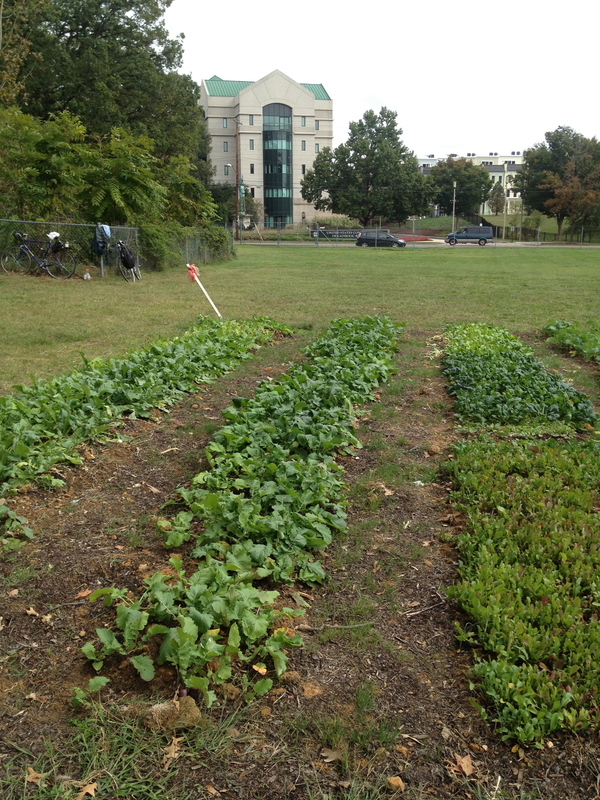 It’s Three Part Harmony Farm run by Gail Taylor, a key player in the D.C. urban farming scene. The farm’s name defines its core values: Read the full article. 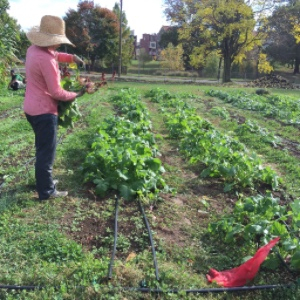 Gail Taylor owns and operates Three Part Harmony Farm on the grounds of the Oblate Residence in Washington, DC. She is a longtime resident of the District, has worked in the Latin America Solidarity community with affordable housing organizations, and is now working with the food sovereignty movement. “The Culture of Collards” has been nominated for Best Food Video at SAVEUR Magazine. This short film, which takes a look at the complex cultural and culinary history of collards, features DC farmers Gail Taylor of Three Part Harmony Farm at the Oblate Residence in Washington, DC and Rebecca Lemos & Lola Bloom of City Blossoms, and culinary historian Michael W. Twitty. Then visit Saveur Magazine to cast your vote under the Best Food Video category!